“Alaska is my favorite place in the world to travel,” says Londonderry Village resident, Glenn Blantz. Glenn, a well-known gun shop owner from the Palmyra area and now Londonderry Village resident, sat down with me to tell me about how an exciting sponsorship opportunity had him traveling to Alaska for 11 years straight. Glenn traveled to Alaska several times a year for business and it is through those visits he made many friends. One year his friend told him about this new dog race that was becoming quite popular called the Iditarod. This race spans 1,049 miles and starts in Anchorage, Alaska and ends in Nome, Alaska. People from all over the world come to compete or sponsor teams. Glenn said that the winning team was usually always from another country such as England, Spain, France etc. Each year there are usually anywhere from 70-100 sleds that compete. This race consists of 22 checkpoints which each Musher (the man/woman controlling the sled dogs) must pass to complete the race. Each team consists of roughly 16 dogs a musher and other trainers that prepare for months for this race. Glenn paid several thousand per dog to sponsor them each year. In the 11 years he had dogs competing, his musher finished in the top ten, five different times. His musher also finished in the top five, three different times. 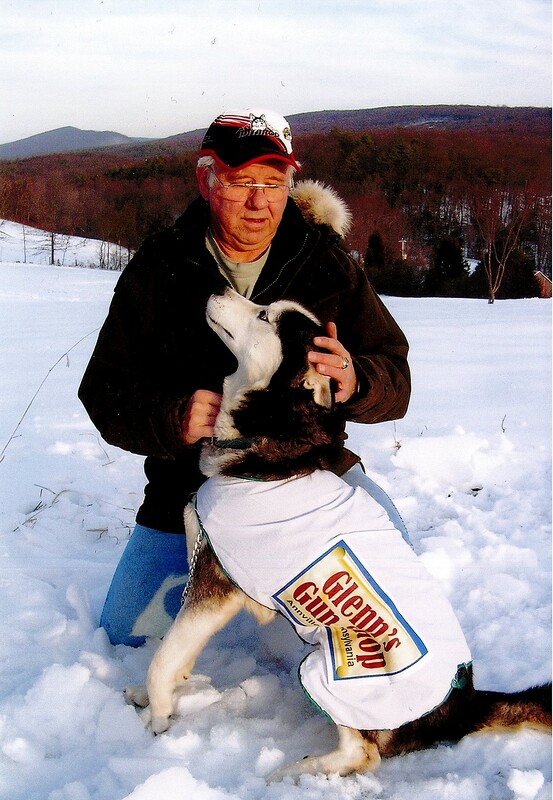 The last year Glenn sponsored a dog in the Iditarod was in 2014. “Age caught up to me” says Glenn. Glenn still keeps in contact with many friends he has in Alaska, including his musher although he has not been back since. “I knew when I flew out of Alaska in 2014 that I would not be coming back again.” Each year Glenn still continues to follow along with the famous dog race using their website, remembering all the fun he had.